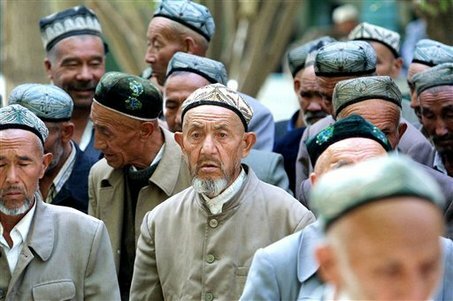 OnIslam Staff – A leading international Muslim scholars union has criticized China’s apparent ban on fasting the holy month of Ramadan in the Muslim dominant Xinjiang district, urging the Asian country to respect Muslim faith. “Continuous religious and ethnic persecution over Muslims, especially in China’s Xinjiang Uyghur Autonomous Region, is against Chinese and international law,” the International Union of Muslim Scholars (IUMS) said in a statement released last Thursday, June 25. The Union went on to condemn Chinese government policies in the district including forcing restaurants to sell food on Ramadan days as well as forcing parents to sign on banning their children from observing the fasting month. Moreover, the IUMS warned that China’s failure to offer more freedoms to Uighur Muslims will give scholars a sign to spread news among Muslims worldwide which would result in severe effect on the Chinese economy. Every year, Chinese authorities have repeatedly imposed restrictions on Uighur Muslim in the northwestern region of Xinjiang every Ramadan. Last May, Muslim shops and restaurants in a Chinese village in northwestern Xinjiang have been ordered to sell cigarettes and alcohol or face closure.